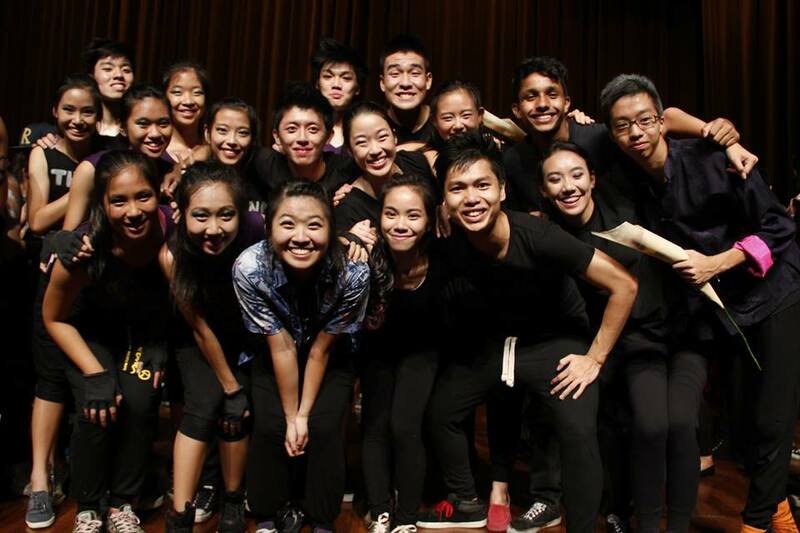 On the 5th of March, students filled the RI auditorium, waiting for Dancefest 2014 to begin. As a highlight of the IHC Remix calendar, it was no surprise that the auditorium was packed to the brim, with many students having to resort to sitting on the steps or the floor. Expectations were high, with the five houses giving two performances each. With their recently made friends performing, the energy from the audience was really high too. However, things started off slowly as the emcees, Charlotte and Jingyi, tried in vain to keep the boisterous crowd under control. Despite the sluggish start, the J2 team from Buckle-Buckley kicked off what turned out to be a great two hours. The dances definitely did not disappoint. To the loud cheers of the audience, the dancers pulled off each choreographed move effortlessly. All ten teams put up stunning displays of team cohesion and stamina to pull off their respective segments. 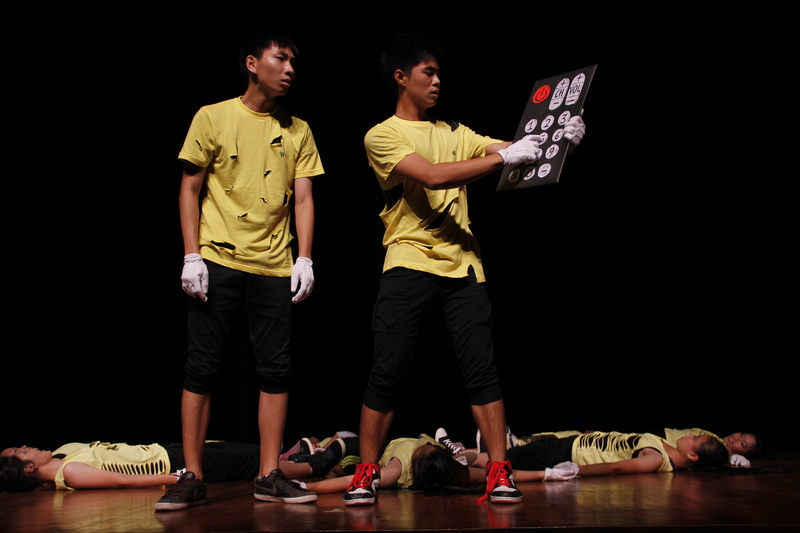 This year’s Dancefest also saw several houses maximising their creativity to come up with really memorable segments. Of particular note was Moor-Tarbet’s usage of a mystery box placed centre stage, from which they would draw random items and dance accordingly. There was a part where they took out a crown from the box and immediately started dancing to Fantastic Baby by Big Bang, eliciting a wild response from the people present. Additionally, the Bayley-Waddle J2 team ended off their dance segment with a tableau of the iconic “The Circle of Life” scene from the Lion King, to the amazement of the audience. They also included a tap dancing segment in their performance, which went well with the judges who noted that “tap dancing was something new, something never seen in previous Dancefests”. Likewise, the audience were visibly impressed by the prowess of the two dancers who performed the tapdance, with the segment receiving amongst the loudest cheers of the night. Some of the houses also made use of humour to make their performances stand out – Hadley-Hullett’s J2 team choreographed a literal tree-cutting segment to the song “Timber” which was met with applause and laughter from the audience. Similarly, Moor-Tarbet’s J2 team mixed pop culture into their dance by choreographing the popular app “Flappy Bird” into their dance, with Moor-Tarbet’s phoenix mascot making a guest appearance as Flappy Bird. Other houses made use of their ten minutes on stage to tell stories to the audience through the art of dance. Buckle-Buckley’s J1 crew, for instance, told a story of how toys came to life in a child’s bedroom after dark. The crew made clever use of costumes and props to depict themselves as toy soldiers, clowns, dolls and the like. All in all, this performance was an interesting one focused on the concept of dreams. The J1 BW team, on the other hand, decided to translate a common-day sibling squabble into dance. The crew made the most of their skewed gender ratio – the crew consisted of two guys and eight girls – to put up a whimsical yet creative interpretive dance of a fight between two siblings over who should watch TV. To round off an excellent night of dancing prowess, five members from the Modern Dance exco put up a well-choreographed dance item. This was then followed by an impromptu dance-off where individual dancers showed off their arsenal of dance moves despite being exhausted from their prepared pieces. “All five houses did really well and we honestly think that Dancefest this year was damn good,” said Saaradha Muthunatarajan (15S03T). “We can see how everyone put in tons of effort into making this work too. It was generally very nice to watch,” added Natalie Ann Chan (15S03B). Many of the dance crews customized t-shirts and caps just for the performance that day even when it wasn’t a necessity, showing just how much dedication they had to the cause. “MR’s usage of the umbrellas was really cool too! Very innovative,” added Faith Ng (15A01E). Many of the other members of the audience shared the same sentiment for the first segment of the MR J2 dance crew’s piece where they made use of umbrellas and danced to Con te partirò (Time To Say Goodbye) by Paolo Bernardi as if in an orchestra as well. Among the talented crew of dancers who put up the scintillating show was Ang Deng Seng (14S03J), a member of Raffles Street Dance. He, like many other J2s, decided to take part in Dancefest 2014 due to this being their very last year in RI(JC). “It’s fun and something I enjoy doing, so why not?” was what he said right before Dancefest began. Simon Tang (14S06O) of Morrison-Richardson and Raffles Street Dance, added that he joined Dancefest despite it being so close to the CT period because he wanted to help people connect to dance. “I have so many friends who want to dance but don’t know how to start because they aren’t in dance CCAs, so I wanted to join to help spread the culture, to share the little bit that I know and see more people come to enjoy it as I have!”. 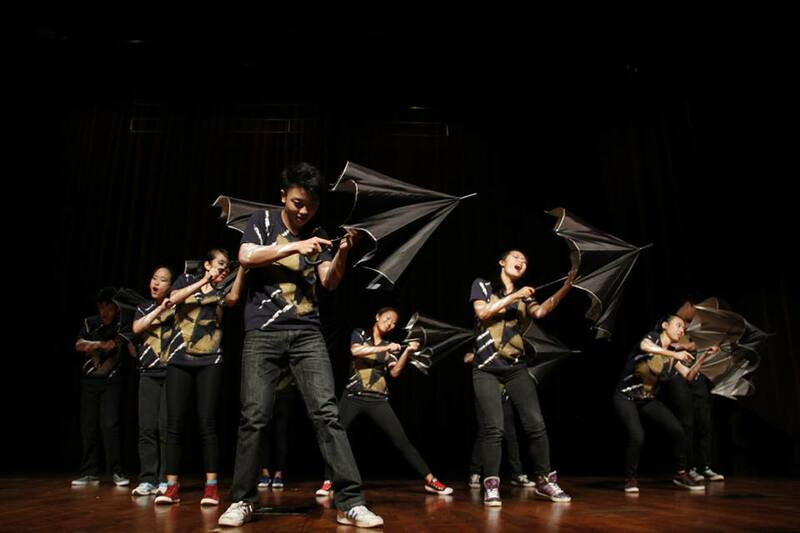 With his experience as a Street Dancer, Simon was also involved in the conceptualisation and choreography of his team’s dance, including the innovative umbrella dancing segment. And yet, the dancers do not only consist of the so-called ‘veterans’ of the game. Indeed, a lot of eager participants joined their Dancefest crews with little or no experience in dancing. Participants such as Moor-Tarbet’s Francis Tan (15S06D) decided to join Dancefest after realising that he had a passion for dancing having taken part in the Orientation Night dance-off. Since he only had two years in RJ, he wanted to step out of his comfort zone and do something that he had never done before. However, a natural concern for many of these new dancers would have been stage fright, with Dancefest being their first dance event in front of a huge crowd of people, mostly consisting of new friends or complete strangers, for that matter. Having said that, Buckle-Buckley’s Ellson Chow (15S06P) said that he didn’t really have any stage fright. “I just felt really prepared and the huge support i had from my friends made me realise that I had no right to be afraid, but instead put on my best show to show my appreciation towards them and to not disappoint them.” What pushed most of these dancers though, was the passion and love that they had for this art form. “There were many tiring nights but my amazing dance crew and my love and passion for dancing were what helped me get through all the intense trainings,” said Pearl Ding (15S03L) of Hadley-Hullett. Nonetheless, preparation for Dancefest definitely entailed a lot of hard work, usually at great personal sacrifice. David Wang (15S05A) of Morrison-Richardson lamented on how “[he] didn’t touch a single lecture note or tutorial for the last week” because of how the rehearsals dragged on until well past 9pm every day. Another Buckle-Buckley dancer said that he was “initially shocked at the amount of practice [they] had to do”. While the dancers did have to stay back in school over the span of just over a week to undergo intense preparation, none of them were complaining. “All the dumb stuff we did was amazing,” said a dancer from the MR J1 dance crew. They also proudly proclaimed that they were now best friends, despite not knowing each other before Dancefest itself. After ten amazing performances and the spectacular dance-off, the judges, all alumni of RI(JC), took their time to deliberate and finally announce the winners of Dancefest 2014 – Morrison-Richardson. Most of the judges’ comments revolved around maintaining energy throughout the entire performance and showmanship and how performing with a smile no matter how drained one is feeling is of utmost importance in a good performance. Still reeling from the high, almost everyone testified that what mattered the most to them was the friends they had made and the journey that they had been through and not the results in it’s entirety. “We had the best team ever!” exclaimed many of the dancers after their performances. In the meanwhile, as noted by David, Dancefest could be utilised as a platform to create a dance community within Raffles. “At the moment, only a few people get into dance CCAs, but there are actually a lot of people with a passion for dance, especially after watching events such as Dancefest.” As seen in the sheer breadth and quality of dances presented by all the crews despite having only about a week to prepare for the event, it is pretty evident that there is a hotbed of promising young dancers in Raffles despite their lack of experience. 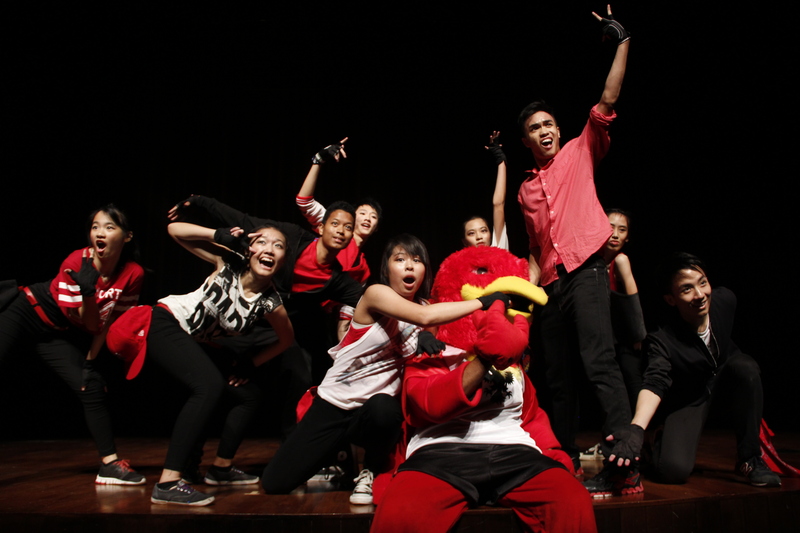 For them, Dancefest seems to be the only outlet to express their knack for the stage. Hence, in creating a dance community, there will be a chance for such hidden gems to explore and discover their innate passion for dance. In conclusion, Dancefest was definitely a success for both dancers and the audience who came down to watch the performances. One can only wait in eager anticipation for the next instalment of Dancefest in 2015.